Well, not much snow, but then, I don’t want much snow. 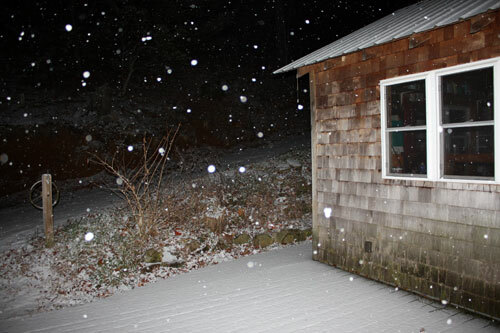 Instead of the forecast sleet, we started the evening with snow. 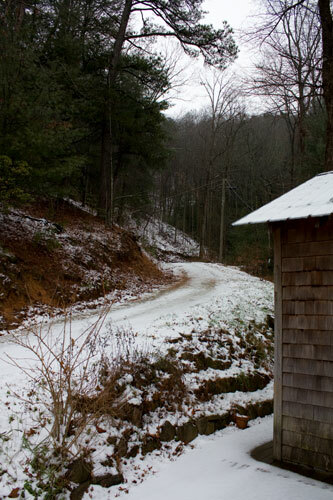 Snow beats sleet. It looks so pretty and the deck looks so clean. About 6 am this morning, the temperature started to rise and the snow started to melt, but it was still pretty for a little while. 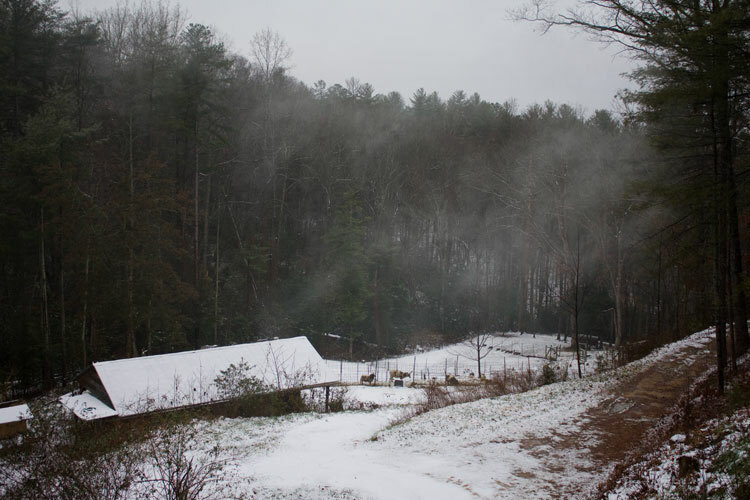 Beginning to melt… on the deck looking up the driveway…..
On the deck looking towards the sheep…. RubyBelle is hard at work doing her job of babysitting the ewe lambs lamb, Lucinda. Actually, I don’t think RubyBelle knows that she’s the baby sitter. It’s just that she ruled the flock by way of dignity and elegance, rather than aggression, for so many years. At fourteen, she is no longer the flock leader, but calmly accepts any ewe lambs into her subflock. I have no intention of getting rid of my ewes that are mean to new arrivals. But, it’s nice to have RubyBelle’s laissez-faire attitude towards her charges. I love snow, but only for a day or two 🙂 It is so pretty! I really appreciate the ewes that are like RubyBelle.